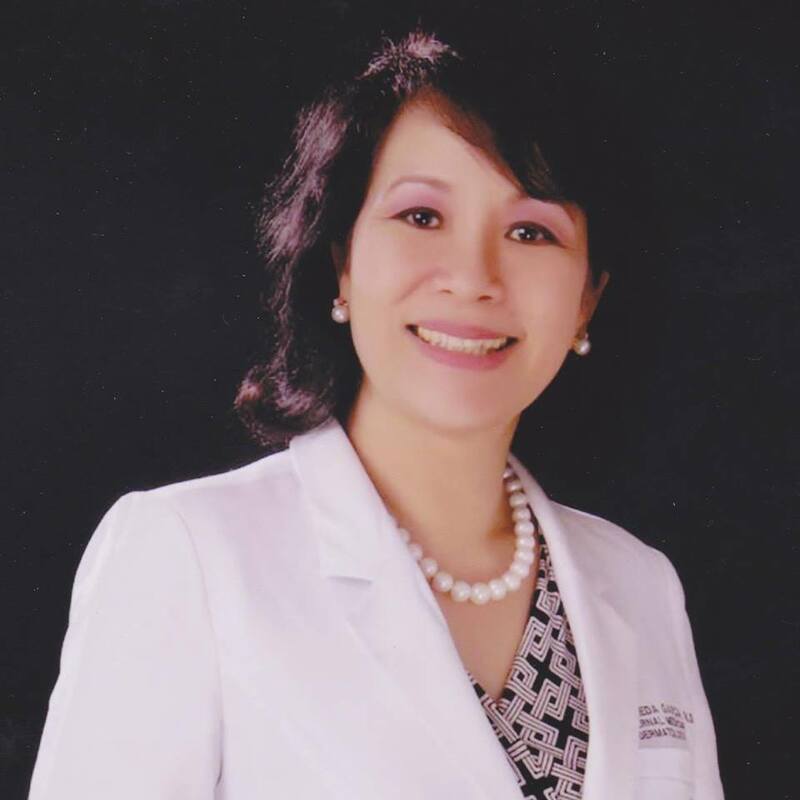 With the recent issue of the "swimming party" between the Presidential Electoral Tribunal staff and the revisor of Vice President Leni Robredo, UERMMMC Doctor Ethel Pineda said that thanks to the VP, the confidence of the people in the PET has been damaged. "The confidence in the Presidential Electoral Tribunal's impartiality has been irreparably damaged. Imagine. PET revisors partying privately with a member of the Robredo camp. Imagine. It was an opportunity to exert influence. How does one respond to a request by someone who has fed you and given you a good time?" she said. "Ask. What other favors have been exchanged? Ask. Is this the first, or just one of many occasions?" she added. 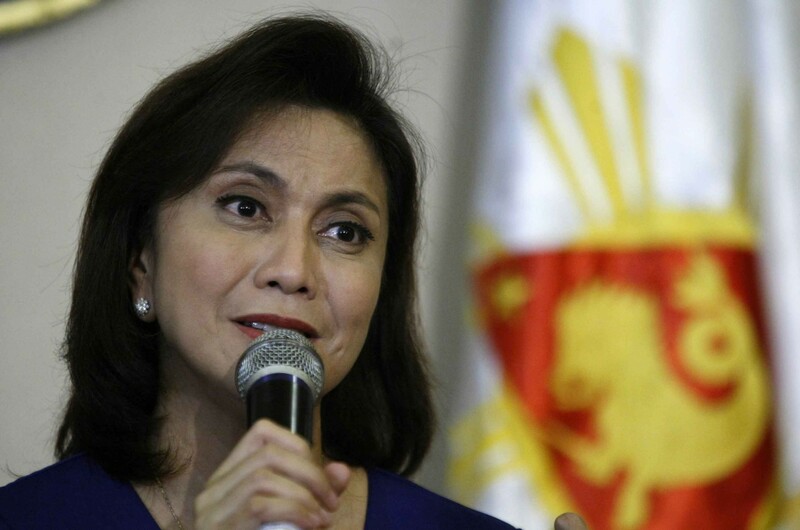 Robredo's opponent in the ongoing election recount, ex-Senator Bongbong Marcos after hearing of the incident, which was posted online, filed in the Supreme Court a manifestation of grave concern with extreme urgent motion to investigate. The High Court acts as the Presidential Electoral Tribunal (PET) on Monday. "Election, as the ultimate democratic exercise, must be treated with utmost respect. Sacred, even. It was paid for with the blood of our heroes. Once more, we see Ms. Robredo and her representatives trampling over what the citizens hold precious. This is the Liberal Party's unmistakable, unparalleled brand of arrogated impunity," Pineda said. "The bile rises in my throat," she added. The former senator said he knew of the incident via a Facebook post by Rosales, a PET head revisor, which she deleted. The confidence in the Presidential Electoral Tribunal's impartiality has been irreparably damaged. Imagine. 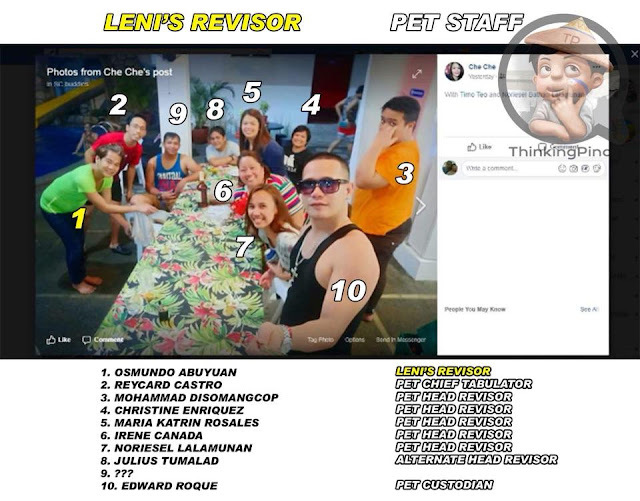 PET revisors partying privately with a member of the Robredo camp. Imagine. It was an opportunity to exert influence. How does one respond to a request by someone who has fed you and given you a good time? Ask. What other favors have been exchanged? Ask. Is this the first, or just one of many occasions? Election, as the ultimate democratic exercise, must be treated with utmost respect. Sacred, even. It was paid for with the blood of our heroes. Once more, we see Ms. Robredo and her representatives trampling over what the citizens hold precious. This is the Liberal Party's unmistakable, unparalleled brand of arrogated impunity. The bile rises in my throat.